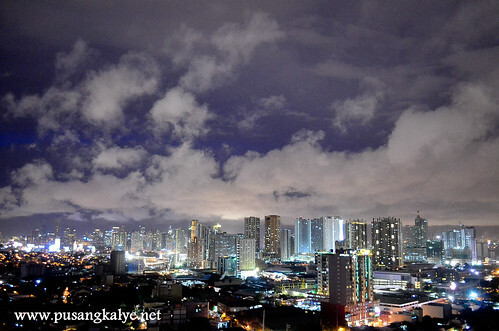 I love cityscapes. 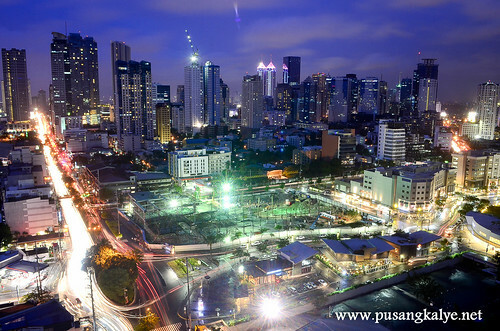 And with the fast growing skyline of Metro Manila, it's an exciting time to savor the view. 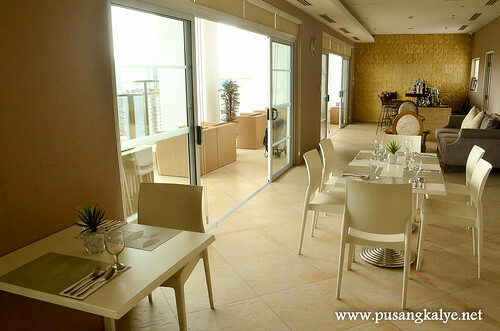 This is one of the reasons why I wanted to try Privato Hotel in Kapitolyo Pasig. 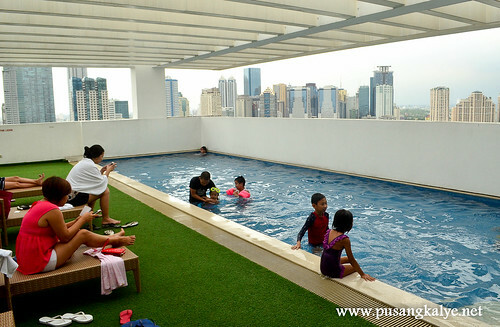 I saw a couple of photos of the hotel pool with the wonderful view of Ortigas Skyline and I thought I have to try the place. And I was not disappointed. 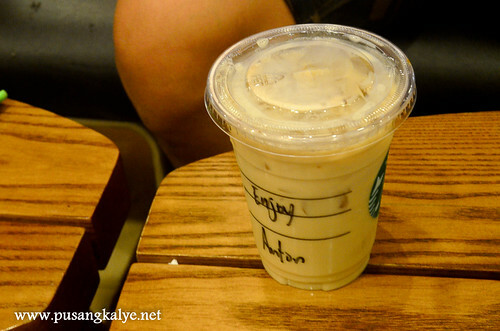 Crave satisfied. We checked a few weeks ago. 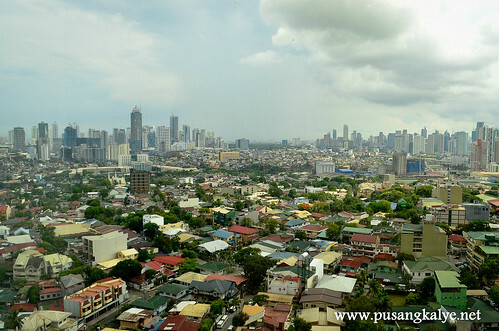 June is officially rainy season in the Philippines but we were blessed with not-so-gloomy weather. Perfect for another relaxing staycation weekend. 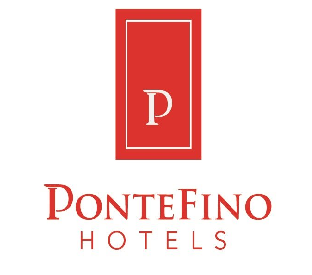 Privato Hotel is an Italian-inspired business and lifestyle hotel in Pasig City, strategically located near Capitol Commons, an upcoming lifestyle and dining development, and the Ortigas Central Business District. 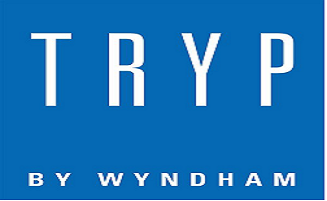 The hotel boasts of 177 rooms designed in contemporary style. 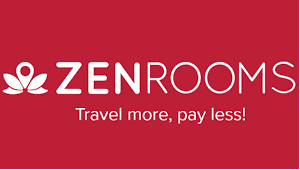 You can walk-in and book a room but I suggest you book online as it is normally cheaper. 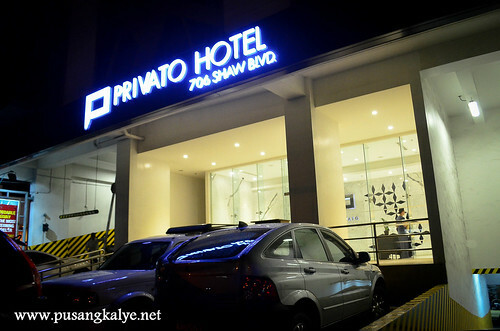 For example, you can book Privato Hotel in Pasig City with Traveloka and get a good deal. The hotel is new but it is already showing signs of wear out visible on floor stains at corners especially at the hallways. 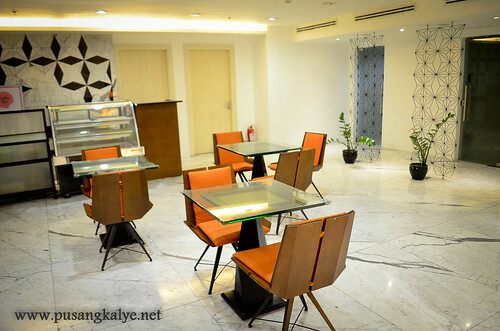 Even so, the place is still nice and would comfortably sit on a 3-star category hotel if not 4-star. 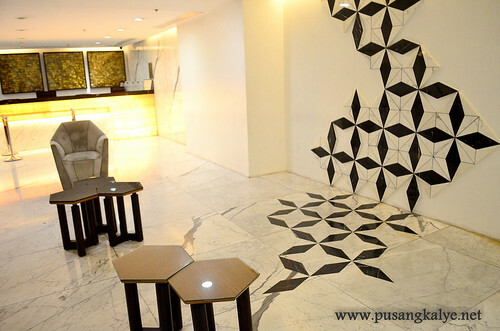 The lobby is simplistic, floor and other parts of the walls in marble. 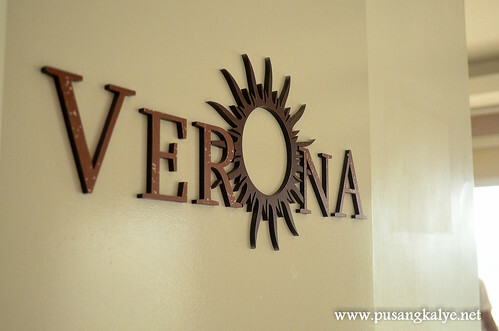 The wall accents are easily noticeable because of the light background colors. I just find other spots dead like the corner on the right once you enter the hotel door. They put up a tv next to a giant bird figure but since the wall is all white the small tv looked sorry on a big blank space. 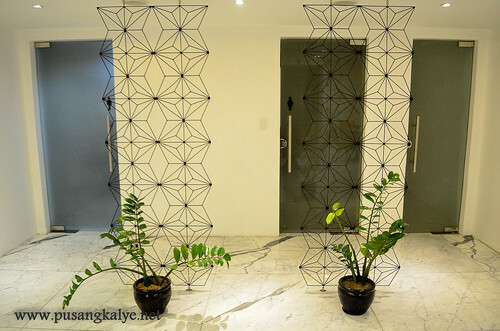 The reception desk is rather simple but the overall accent is consistent all throughout the hotel. 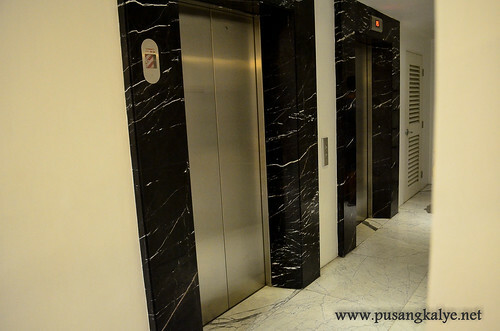 Only two elevators are available to service all 20+ floors including the rooftop but they are efficient nonetheless. The corridors at the upper floors are rather simple, white paint and no accent whatsoever except for the intermittent black doors of each rooms. 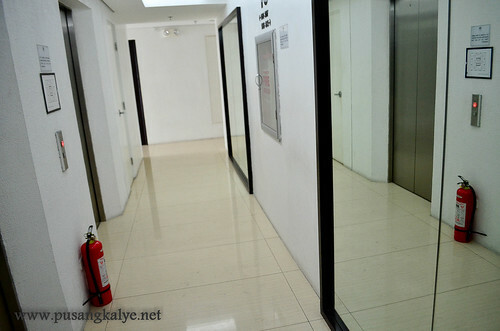 I noticed that the hallways are narrow so it gives a little constrained feel. 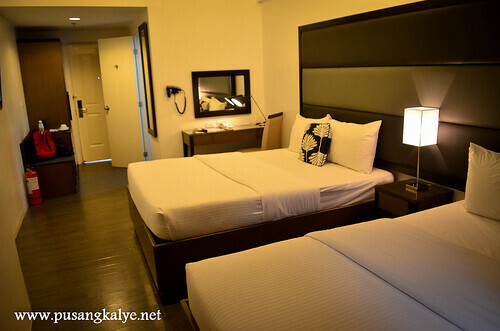 Thanks to DealGrocer, we got a deluxe double queen room for only 1,800 pesos, breakfast not included. 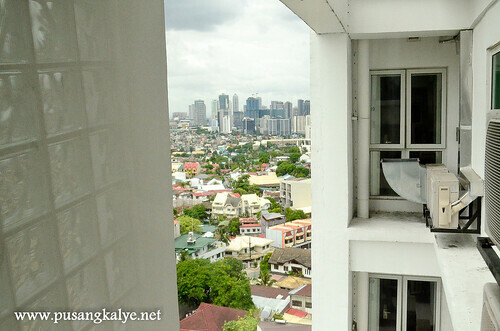 Our room faces Shaw Blvd side with Citystate tower immediately facing the view. 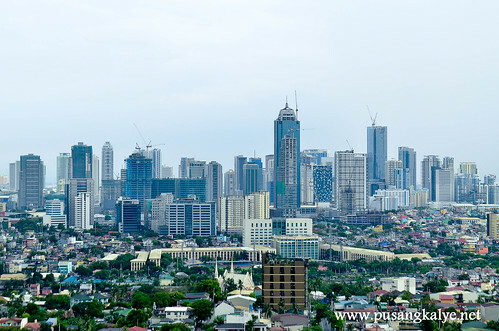 One the right is the flat vastness of Pasig area allowing an uninterrupted view of as far as Antipolo and the hills of Rizal Province. 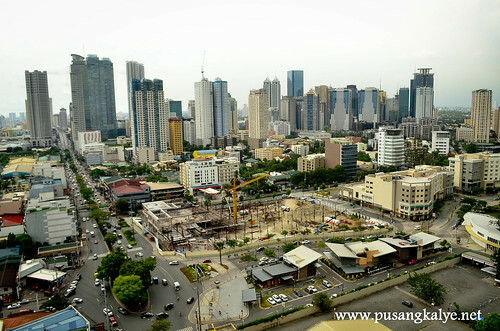 On the left is the vibrant Ortigas Central Business District. Our curtains were kept closed most of the time though as the room is spacious amd there no feeling of being boxed in a cramped space. I prefer the intimate lighting inside and the warmth it gives the senses. The bed is good but is not to compare with Tune Hotel nearby which has the best 5-star bed for a budget hotel imho. But still comfortable enough. 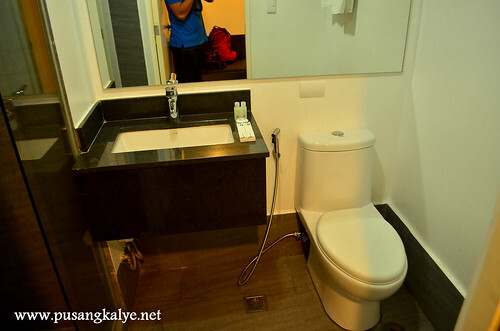 The toilet is also a little small and water pressure at the shower is rather weak. 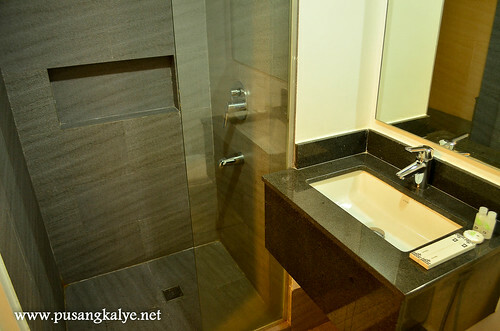 Again, I couldn't help but compare the power shower of Tune Hotel which I find really relaxing for a hot shower before sleep. The restroom is clean though and functional enough so I couldn't complain more. Basic toiletries provided. No mini-bar but coffee, water heater and basic utensils available. A small tv on the wall with cable channels. There is also a small (very small) fridge where you can cool your drinks but don't think of stuffing a 2-litter mineral water there coz it just wouldn't fit. Dresser ok, airconditing very efficient. A hair dryer fixed on the wall next to a small mirror next to the bed and a lovely lamp which emits yellow light for a nice complexion when you retouch. 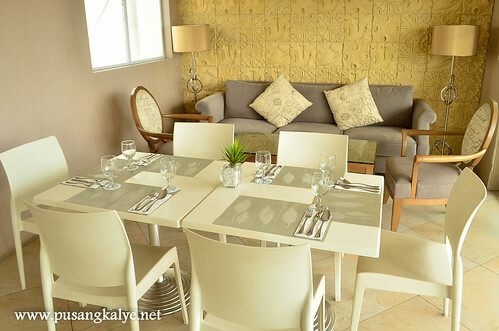 The room overall is comfortable and functional. 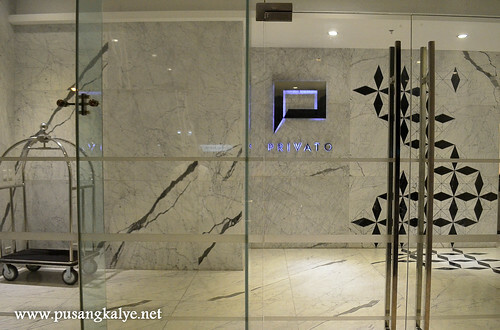 Privato is a mid-rise hotel with only around 25 or so floors but they made a good job at maximizing spaces especially the rooftop area where the pool, gym and Verona Rooftop Lounge are located. 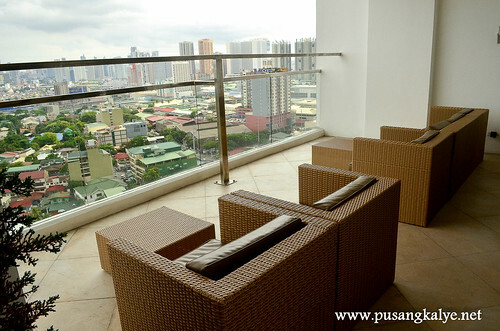 So you have one pool on Shaw Blvd side going up a few step on your left once exiting the elevator and on the right is the lounge. Next to the pool is the gym. I loooooove this spot. Not only that it provides options and easy access on what you feel like doing, either go for a swim, have a workout or simply chill at the lounge. 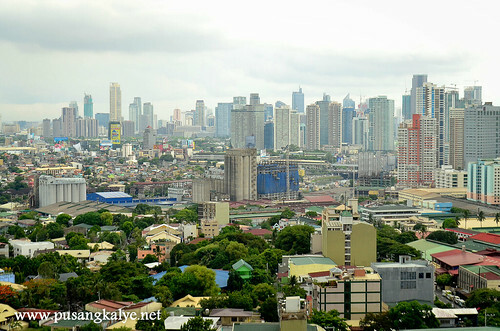 I love hanging out here looking at the skylines of Ortigas or Fort Bonifacio. I can just look at the buildings for hours and map the vast metropolis. 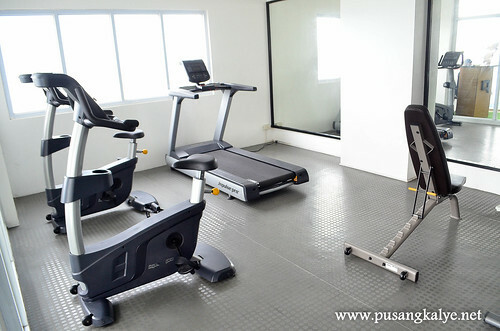 I admire small hotels which put up much coveted space for a gym no matter how small simple it may be. 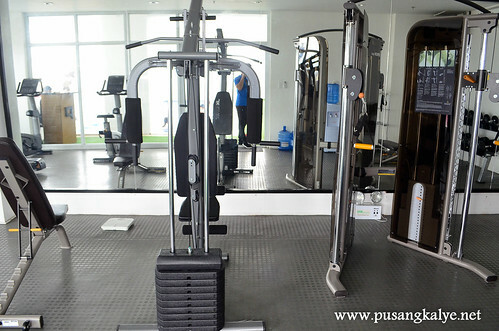 Equipments are limited but good enough for a simple workout.I was able to exercise for almost an hour so I felt really satisfied to complete our stay at Privato. 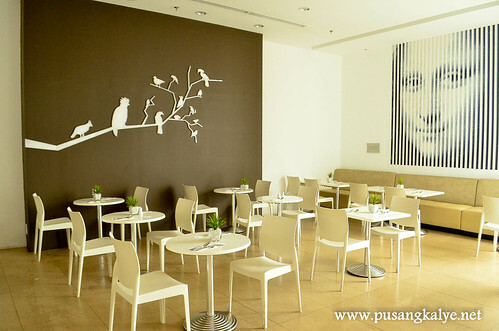 Enjoy a hearty breakfast at the stylish Piazza Privato located on the 6th floor of the hotel. 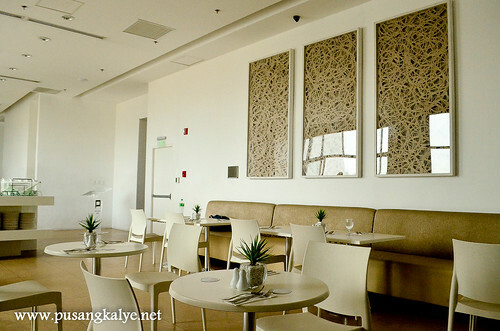 Nice interior if I may see and a nice view of BGC area from here. 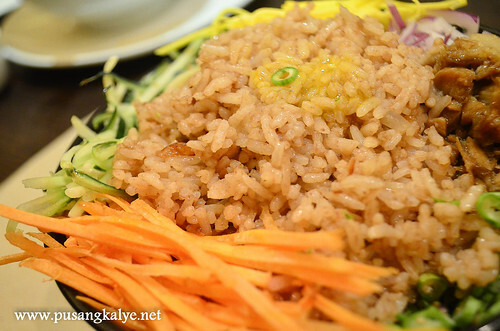 The food I cannot review because we opted to eat out that morning. 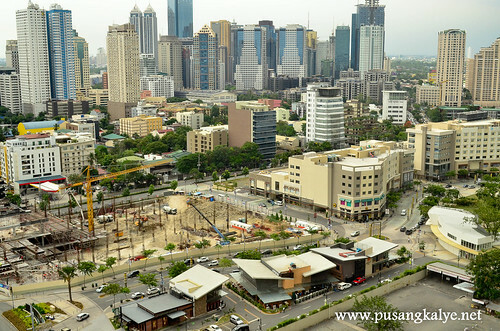 Another reason why we wanted to staycation here is because of the area. 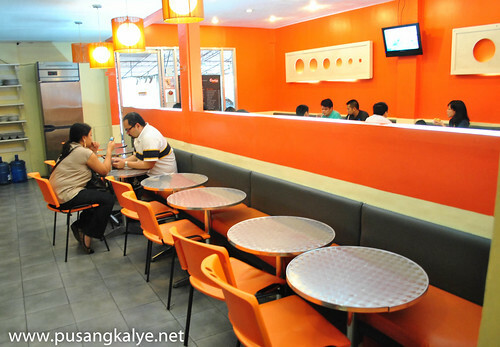 It's only because it is stress-free because of easy access via Shaw Blvd but also because of the food scene. 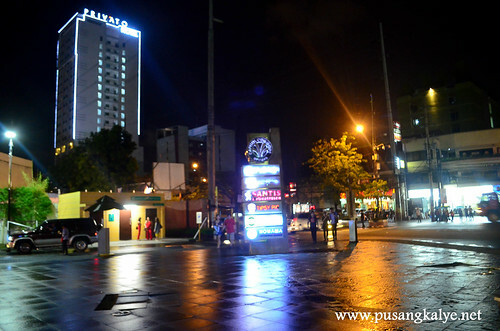 Kapitolyo Village, next to the hotel, is home to some of the interesting restaurants in the metro.  Rub, Charlie's Grind and Grill, Cab Cafe, Cafe Juanita, Epic Coffee Roastery, Haru Sushi Bar and Restaurant, Poco Deli, Ramen Cool, Three Sisters, Ser Chef Lechon, Uncle Moe's Shawarma Hub, Lia's Cake in Season, Thai Dara, so many to choose from! 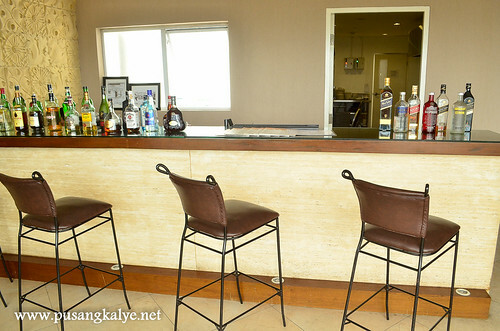 Not to mention Sky High Bar at Ace Hotel and Suites. 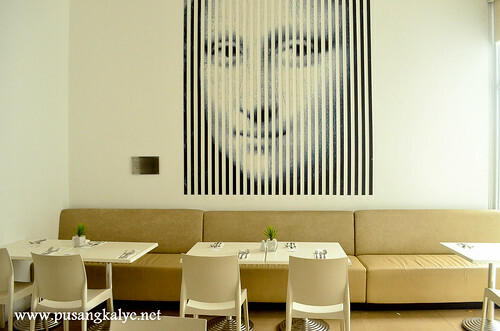 Speaking of Ace Hotel, just across it is Nav Modern Thai Cusine Restaurant. 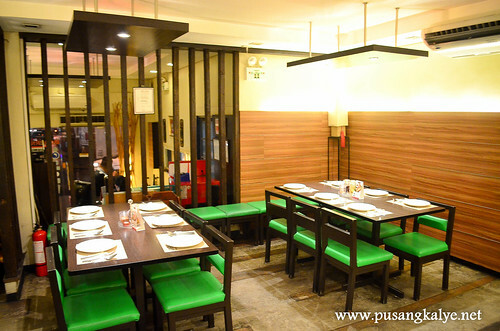 A relatively small place with interior not so much of Thai ambiance but with a menu packed with bestsellers. It was here where we had dinner. It was a rainy night and we thought a hot soup would be perfect. 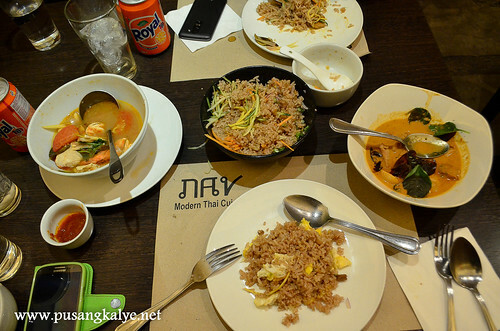 We ordered Tom Yum Goong, Green Curry and Bagoong Rice. 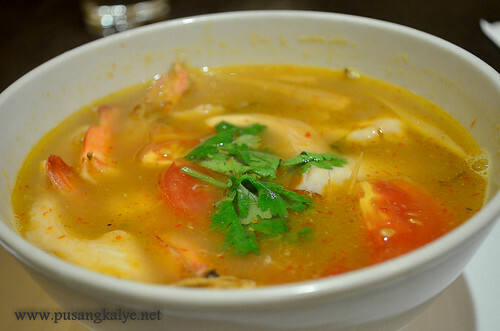 The curry was perfect and it was by far the best Tom Yum Goong I tried in the Metro. The taste was as close to authentic. 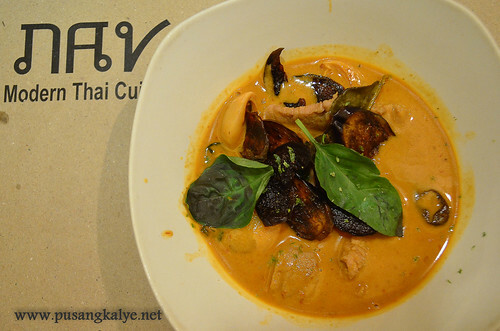 Still 2nd to the best Tom Yum experience in Phom Penh in 2013 but this one at Nav is something you will crave and go back to. 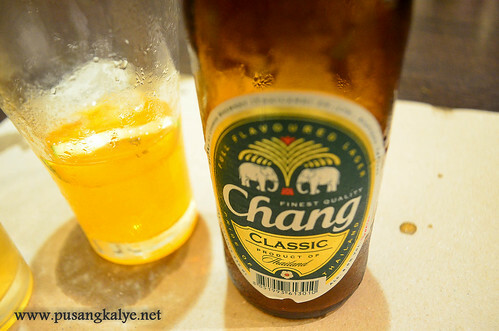 My companion was all about Tom Yum even days after the dinner. I will write a separate entry on Nav soon as it deserves a separate article. 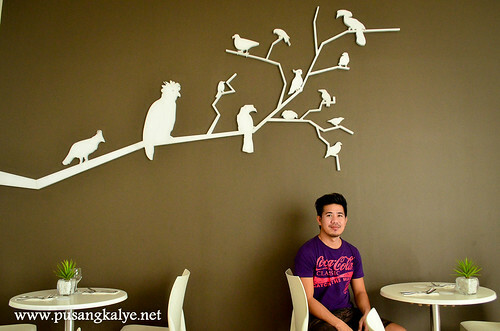 - ACE HOTEL & SUITES: my #staycation2013 started with an Ace! 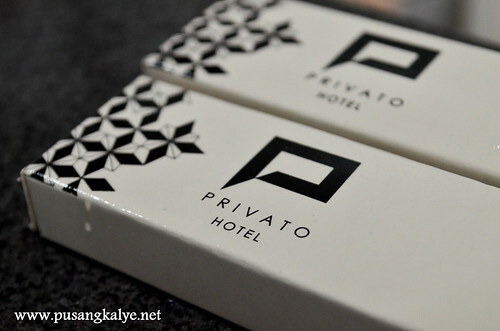 Another attraction to look for around Privato Hotel is Capitol Commons. 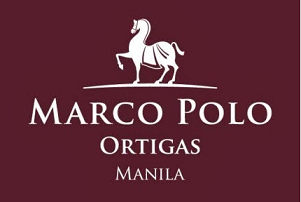 It is a lifestyle district under development by Ortigas and Co. with the first mall and a few fine dining spaces you will love. 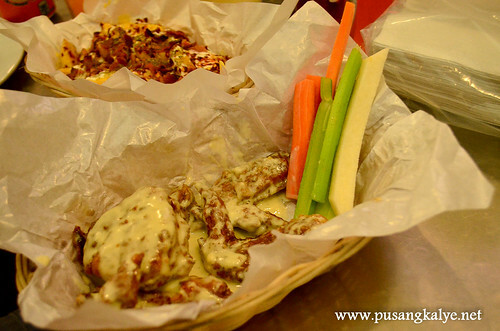 There's Tipsy Pig and Sentro for example and a lot more choices in Estancia Mall. There's also the omnipresent Starbucks Cafe of course where we went after the diner at Nav. Relaxing over tea and feeling the place. Nice spot indeed. Beer at Verona Lounge I find pricey at 150php for a 330mL of San Miguel Light so we decided to just hang out there for a few minutes to enjoy the view and we were back to our room where bottles of cold San Miguel I bought at the nearby Mini Stop Convenience Store are waiting. 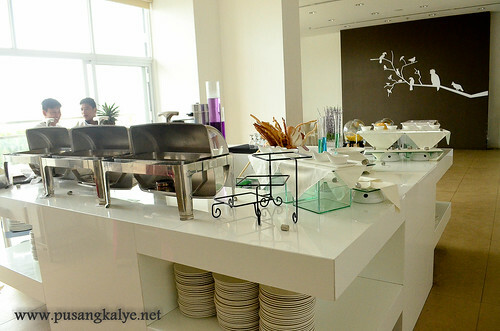 Buffet breakfast at Privato is relatively cheap. 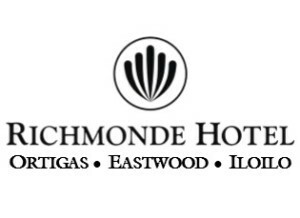 Normally 350 php but front desk told me it costs only 300php per pax since we booked via Agoda. Good deal. We skipped breakfast though, had coffee in room so as to allow enough space for Charlie's Grind and Grill later on. I had a short workout at the gym while my friend went for a swim. 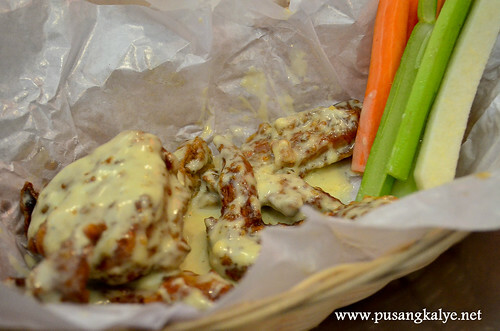 We tried their famous house fries (195) this time and Reverse Buffalo Wings half dozen for 320php. 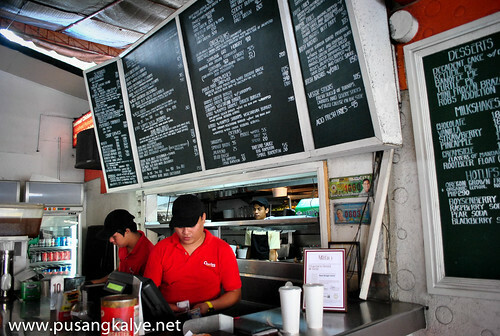 Add 50php for a can of soda and I paid 600php++, almost the same with the breakfast buffet price at Privato Hotel should we opted for it. Quite pricey my friend remarked. 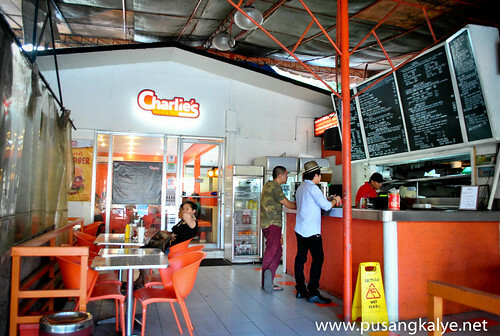 I agree but quite forgivable for specialty grill the caliber of Charlie's. 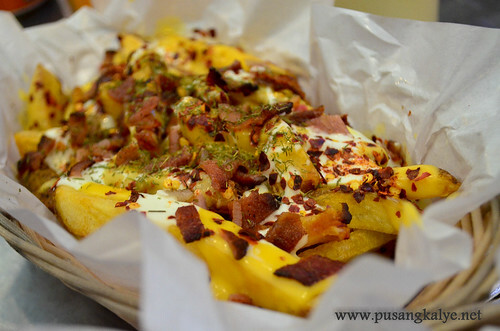 Fresh Igorota Idaho potatoes with rock salt and ground black pepper, bacon bits, paprika, chili flakes, dill, topped with sour cream and cheese sauce.